Not many days after EBU’s release of the official list of participants for Junior Eurovision 2018, that included the country of Kazakhastan, the Head of Khabar Agency confirmed that the broadcaster will hold a national selection to determine the country’s representative for Junior Eurovision 2018 in Minsk,Belarus. Most European countries are doing a very fruitful work in advance, on July 25 we learned that we will get to Junior Eurovision, we do not have much time to take important steps to select the winner who will go to Minsk. We consider all the talented children who live in our country.It can not be said that it will be Danelia Tuleshova who will go, we have many other stars, most importantly, that the audience will determine who will go there to represent Kazakhstan at the Junior Eurovision Song Contest. We need to do this very quickly, to find a child who will just come and win. Director of the “Khabar” TV channel Yerlan Igisinov added that the selection of the participant’s song will be primarily evaluated. 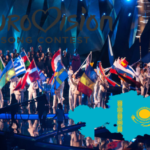 However, the national final for Kazakhstan must be held before October 8, when the EBU deadline expires for national selections to determine the representatives. 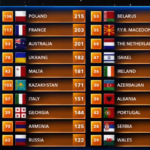 It will be interesting following this country’s process being a newcomer in one of the Eurovision events. 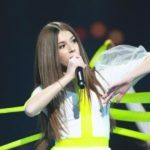 On 26 November 2017, Danelia Tuleshova and six other young Kazakhstanis performed for the first time in the framework of the Junior Eurovision Song Contest in Tbilisi, Georgia. However the performances were not in the competing part of the contest.